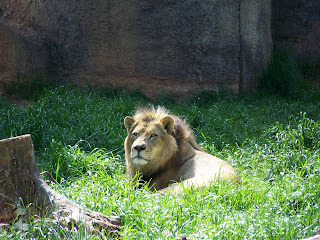 Last weekend we went to the NC Zoo with a group from church & had a great time. Now I know Emma is way too young to enjoy it or to even know much of what is going on, but she did great & we all had a great time. Here are some of my favorite shots from the day. By the way, my lovely husband is the photographer, not me & he really got some good ones. 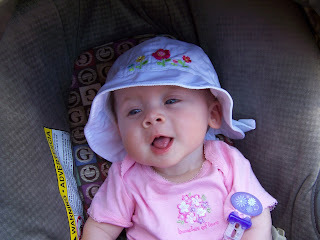 This is our precious little Emma with her cute sun hat on & apparently she is in the middle of babbling. 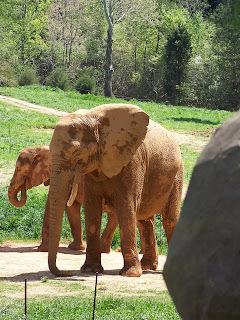 I was really expecting the elepants to be gray, but these were some dirty ones. 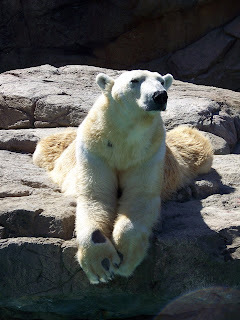 This polar bear was the biggest ham. It was almost as if he was posing for the picture. Chris got several of him in different positions but his one is my favorite. 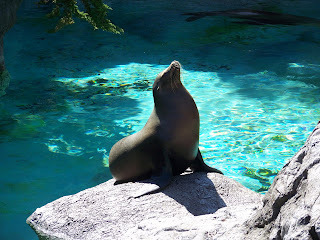 This sea lion basked in the sun for the longest time, he was cracking us up.